You can take a free drop from a man-made path. A path must be covered in wood chippings, black cinders or an artificial surface to qualify as ‘man-made’ (local rule 8). 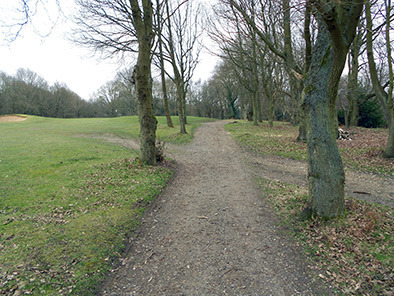 Only two of the paths on this hole are man-made, the others are not. 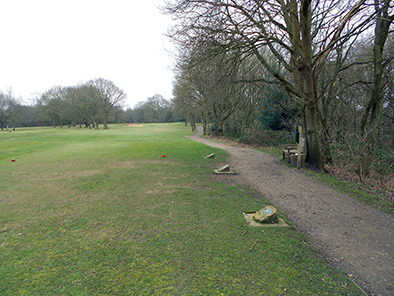 The path running alongside the right of the hole towards the green is shown in the photograph below. It is man-made. 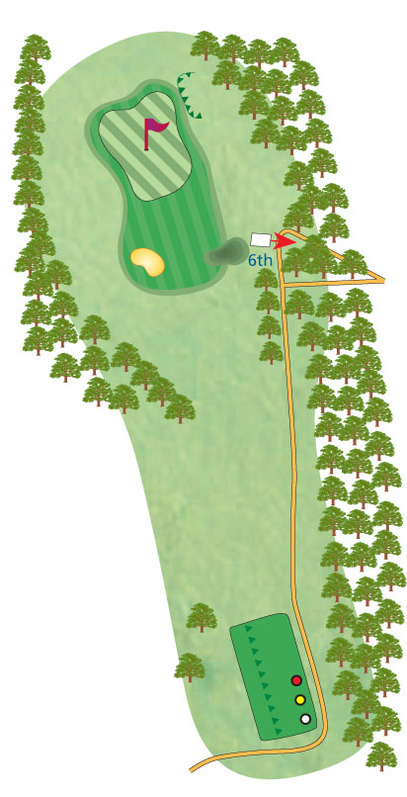 The main path leading from the 5 th green to the 6 th hole is also man-made. There is an area where the paths tend to merge with normal ground. You must determine, with the help of the player marking your card, if your ball has come to rest on the path or beyond it. If there is a dispute, play two balls and record both scores. Ask for a ruling from the Competition Committee before signing and submitting your card.